Vascular reconstruction during pancreaticoduodenectomy is increasingly utilized to improve pancreatic cancer resectability. However, few multi-institutional studies have evaluated the morbidity and mortality of arterial and venous reconstruction during this procedure. 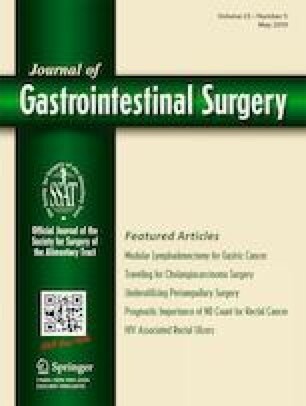 A retrospective analysis was performed utilizing the targeted pancreas module of the American College of Surgeons National Surgical Quality Improvement Program (NSQIP) for pancreaticoduodenectomy from 2014 to 2015. Demographics, comorbidities, and 30-day outcomes for patients who underwent venous or arterial reconstruction and both were compared to no reconstruction. A total of 3002 patients were included in our study: 384 with venous reconstruction, 52 with arterial, 81 with both, and 2566 without. Compared to patients without reconstruction, those who underwent venous reconstruction had more congestive heart failure (1.8% vs 0.2%, P < 0.01), those with arterial reconstruction had higher rates of pulmonary disease (11.5% vs. 4.5%, P = 0.02), and neoadjuvant chemotherapy was more common in both venous (34% vs 12%, P < 0.01) and arterial reconstruction (21% vs 12%, P = 0.04). In multivariable analysis, there was no increase in morbidity or mortality following venous reconstruction. However, arterial reconstruction was associated with increased 30-day mortality with an odds ratio (OR): 6.7, 95%; confidence interval (CI): 1.8–25. Morbidity was increased as represented with return to the operating room (OR: 4.5, 95%; CI: 1.5–15), pancreatic fistula (OR: 4.4, 95%; CI: 1.7–11), and reintubation (OR: 3.9, 95%; CI: 1.1–14). Venous reconstruction during pancreaticoduodenectomy does not increase perioperative morbidity or mortality and should be considered for patients previously considered to be unresectable or those where R0 resection would otherwise not be possible due to venous involvement. Careful consideration should be made prior to arterial reconstruction given the significant increase in perioperative complications and death within 30 days. All authors listed above meet the authorship guidelines as per the guidelines of the International Committee of Medical Journal Editors (ICMJE). All authors have contributed significantly to this paper and meet the authorship guidelines as per the guidelines of the International Committee of Medical Journal Editors (ICMJE). Network NCCN. Clinical Practice Guidelines in Oncology: Pancreatic Adenocarcinoma Version 2.2017. 2017 [cited 2018 14 April]; Available from: https://www.nccn.org/professionals/physician_gls/pdf/pancreatic.pdf.